Arrested for a DUI? Your license will be suspended 10 days after your arrest. Our Miami DUI Attorneys can help eliminate or delay that suspension. Don’t give your license away. Call us now. Miami DUI Attorney, Michael Dye has significant experience defending individuals charged with DUI. Mr. Dye has a strong backgrounds in scientific evidence and has been able to successfully defend individuals who have submitted to breath tests, urinalysis and blood tests. Miami-Dade County handles DUI cases different than other counties. Miami-Dade is one of the few counties throughout the State of Florida that offers a pretrial diversion program for DUI offenses. An individual will be required to enter a plea of guilty o reckless driving upon successful completion of the DUI diversion program. However, there are significant restrictions as to who is eligible. Our Miami DUI Attorneys can assist you in determining whether you are eligible and if the diversion is in your best interest. I’M ELIGIBLE FOR THE DIVERSION. SHOULD I HIRE AN ATTORNEY? ABSOLUTELY! You are required to sign an admission of guilt when you enter the DUI diversion program. That admission of guilt will be used against you if you fail to successfully complete the diversion. Our Miami DUI attorneys will explore all options with you prior to enrolling you in the diversion program. Quite simply, the diversion might not be in your best interest. 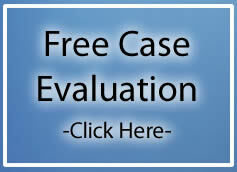 Your DUI attorney should examine your case for possible motions to suppress and trial defenses. You should only enroll in the diversion program after you have discussed your case with your DUI attorney and determined that the diversion is what you want and in your best interest. In addition to the required admission of guilt, the DUI diversion program has no impact on the administrative suspension of your driver’s license. Simply put, your license can still be suspended for your DUI arrest even if you accept the diversion. Our Miami DUI attorneys will help you fight that suspension. A .08 DOES NOT MEAN YOU WILL BE FOUND GUILTY! CALL US TODAY AT (305)459-3286.